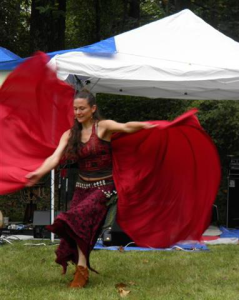 Come together to celebrate, to dance and to play at the Autumn Goddess Retreat Festival! Each year, we gather together with our community in celebration of the sacred that lives within each of us. We have a wonderful array of local musical performers, dancers and drummers for your enjoyment throughout the day. Bring your drum and your dancing shoes to join in the fun, and a chair to rest and enjoy the shows. We have a host of holistic practitioners, body workers and healers, intuitive readers, and local artists and crafters for your shopping and pampering pleasure throughout the day. We also feature a number of incredible free workshops throughout the day brought to you by some of the best healers and teachers from our local community and regional area. Come play and celebrate with us this autumn! We honor inclusion and balance. All are welcome, and Gentlemen, we even have some special activities just for you! The festival is an annual fundraising event. Join our e-mail list and like us on Facebook to stay posted on updates of our events. We are deeply grateful to the Autumn Goddess Retreat Sponsors. Their support helps make this event possible and increases the amount of support we can offer the our local charities. Thank you! Meet Our 2017 Autumn Goddess Sponsors!